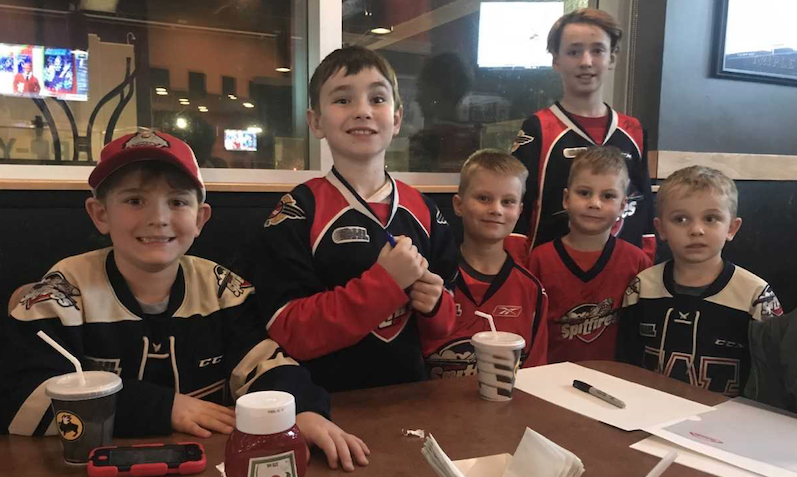 (Windsor, ON) - Dozens of Spitfire fans came to Buffalo Wild Wings Windsor on Monday, January 14th in support of the team's annual "Eat Wings. Raise Funds" event in support of the Windsor Spitfires Foundation. With 10 percent of proceeds for the night going to the Foundation, $736.55 was raised from food and raffle ticket sales. "This was by far the most successful night of its kind for this annual event," Community and Partnerships Coordinator Ryley Gwilliam said. "The turnout was amazing. Fans and our players were enthusiastic about meeting each other." The event proceeds will be redistributed to community groups and social agencies through the Foundation via future donations.